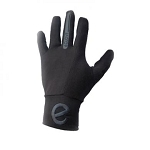 The eGlove XTREME range has been designed for sub zero temperatures when taking your gloves off to answer or use a phone is just not an option. Operate your touchscreen smartphone or device using our conductive thumb and forefinger pads to answer the call, take a picture, use your apps or send a text with pin-point accuracy. 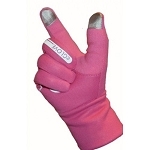 Made from a smooth fleece fabric, they also contain a toweling strip along the back of the forefinger and thumb to remove any sweat from your brow when the going gets tough. Coupled with a windproof material, those cold piercing winds will be comfortably held at bay. 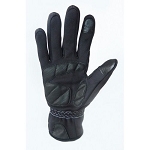 Many gloves expose your wrists to wind and rain with short loose cuffs and this is why the XTREME is designed with a double depth fabric that makes it snug in the fit, which also ensures the cuff does not fall short of the clothing or jacket. Double stitched for maximum durability and utilising our super-grip silicon palms and digits, so expensive smartphone’s or touchscreen devices do not slip from your grasp. 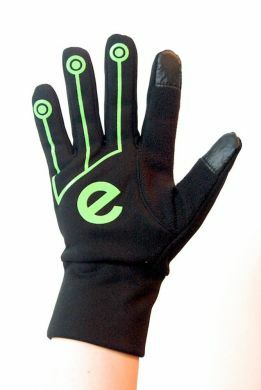 A snug fit is important for accuracy and that’s why our gloves are available in different sizes to maximize your touchscreen accuracy experience. Please check our sizing chart picture prior to ordering your eGlove.